TiLT Parenting was founded in 2016 by Debbie Reber as a podcast and online community aimed at helping parents raising differently-wired kids do so from a place of confidence, connection, and joy. Debbie is passionate about the idea that being differently wired isn’t a deficit —it’s a difference. She hopes to change the way difference is perceived and experienced in the world so these exceptional kids, and the parents raising them, can thrive in their schools, in their families, and in their lives. The TiLT Parenting Podcast is a top podcast in Apple Podcast’s Kids & Family category, with nearly 1 million downloads, and regularly features high-profile parenting experts and educators, as well as insightful conversations between Debbie and her 14-year-old son Asher. Debbie’s book inspired by TiLT Parenting, DIFFERENTLY WIRED: Raising an Extraordinary Child in a Conventional World, was published with Workman in June 2018. Debbie Reber is a parenting activist, New York Times bestselling author, podcast host, and speaker who, before creating TiLT, spent more than fifteen years writing inspiring books for women and teens and speaking about issues like media literacy, self-esteem, and confidence. But when Debbie learned that her son Asher was differently-wired, she spent years figuring out how to best support him in school and in life, recognizing how incredibly difficult it was to find solid, reliable, useful, and most of all optimistic, information for parents like her. Many of the websites and organizations that did exist didn’t speak to her, nor did they help her figure out a plan for getting Asher what he needed while supporting herself in the process. Her best leads came from word-of-mouth from other parents who’d been down the road before her, but even then, figuring out what to do and where to turn next was like going geocaching without a GPS. 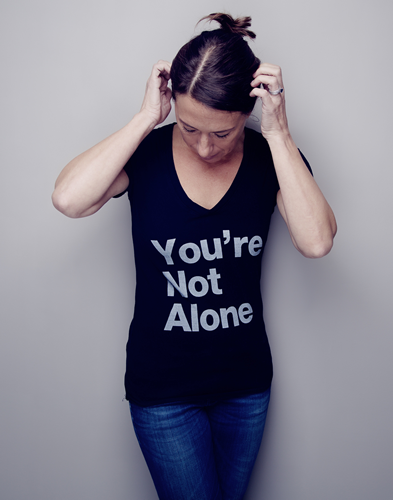 She created TiLT so parents stuck in this place of not-knowing and frustration can feel connected and grounded as they move forward in figuring out what their child needs in a way that feels positive and hopeful for the whole family. Since 2002, she’s written ten books, including Differently Wired: Raising an Extraordinary Child in a Conventional World, which was published by Workman Publishing in June 2018. Her most recent books for young adults include Doable: The Girls’ Guide to Accomplishing Just About Anything and Chill: Stress-Reducing Techniques for a More Balanced, Peaceful You. Before forging her own career path, Debbie worked in TV and video production, producing documentaries and PSAs for CARE and UNICEF, working on Blue’s Clues for Nickelodeon, and developing original series for Cartoon Network. She has an MA in Media Studies from the New School for Social Research and a BA in Communications from Pennsylvania State University. Originally from the U.S., Debbie and her family moved to Amsterdam, the Netherlands, in 2013. When she’s not homeschooling Asher, working on TiLT, or writing books, she’s running, traveling, and reading. Want to know more? Visit Debbie Reber’s author and speaker website here. Member of the media? Access Debbie’s Press Kit and Photos here. 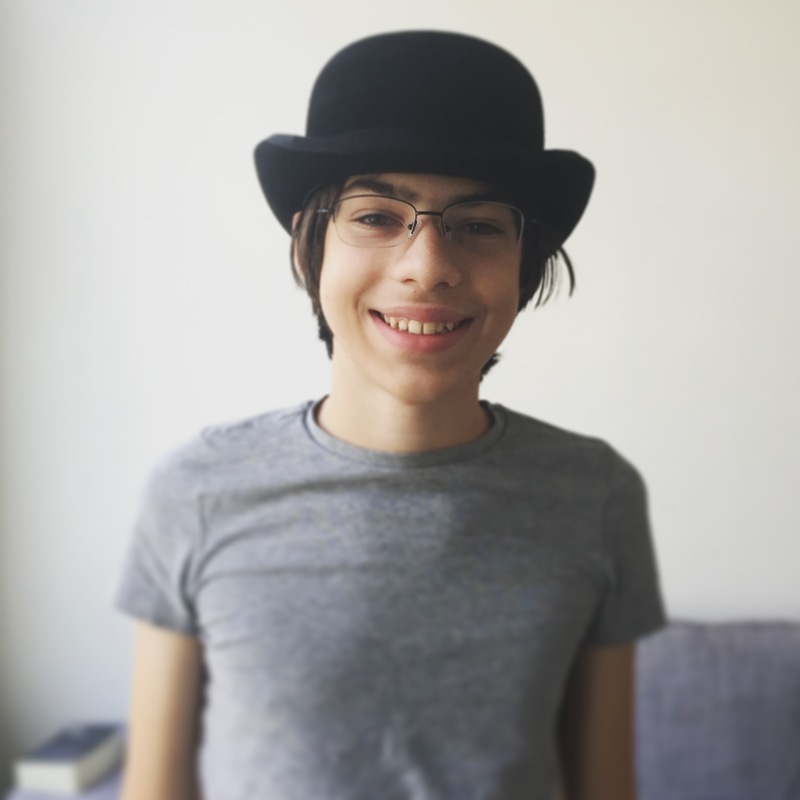 14-year-old Asher is the inspiration for TiLT, and since its launch, he has regularly shared his thoughts and insights on the TiLT Parenting Podcast. Asher has been a part of the development process for TiLT since day one. Part of Debbie’s philosophy in the way she homeschools and supports Asher is with a process of respectful transparency across the board. He has known about his diagnoses of Asperger’s, giftedness, and ADHD for several years now, and is passionate about not only learning how to best support himself and develop skills in areas of life that are tricky for him, but being a proud ambassador for differently-wired kids. Asher is passionate about design, typefaces, and engineering. When he’s not recording podcasts, being homeschooled, or designing fonts, Asher can be found reading, playing video games, working on mods for video games, and hanging out with his friends.